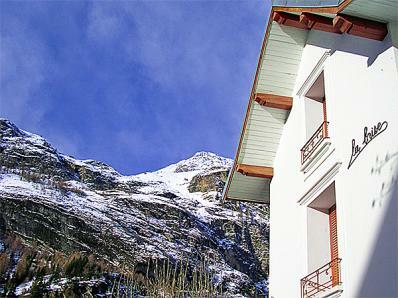 Characteristic great ski chalet with free wifi, located in the cosy traditional village of Tignes-Les Brevières. 5 minutes walk to the new cable car and a free beginners lift, directly linked to the famous high altitude ski area of Tignes - Val d‘Isère. 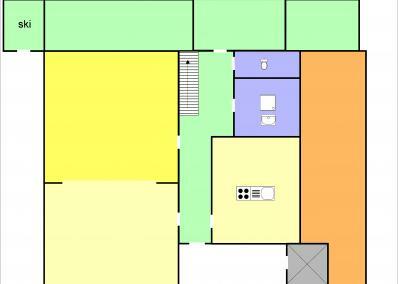 On the ground floor, there is a recently equipped living room, a separate dining room and the separate modern kitchen. 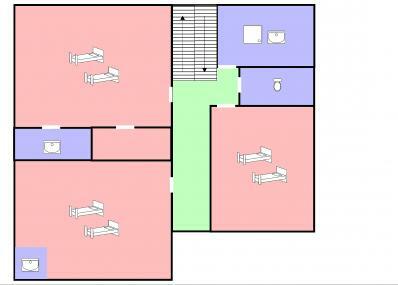 There are three bedrooms on the upper floor and three more bedrooms on the top floor. 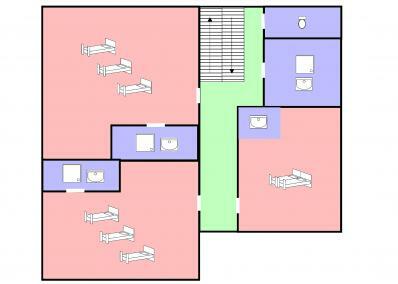 The bedrooms are spacious, each disposes of a small table and a chair. You live in a cosy traditional village: shops, a small supermarket with bakery, savoyard restaurants and a couple of pubs are nearby (50 to 250 m). Chalet altitude 1,550 m, altitude ski area up to 3,500 m at the Grande Motte glacier; 300 km of alpine slopes, 96 ski lifts. From Tignes-Les Brevières you start via the new 8-seater cable car "Les Brevières" (winter 2018-2019) to discover the entire area. On spot, you also find the free ski lift "Pitots" for beginners. A highlight in this sector is the great ski run of Vallon de la Sache – one of the most spectacular slopes in the Espace Killy. For beginners there is the ski lift "Pitots" in the village, free of charge. The skipass Espace Killy for 2 days or more includes the indoor pool Center Lagon at Tignes.Le Lac and the ice rink on the lake. Official ski pass prices in EUR; please note that Alpenchalets sells ski passes as an agent on behalf of the respective lift company. Payment for the ski passes is due together with the final payment for the accommodation (no deposit necessary), orders are possible until 10 days prior to arrival. Ski passes valid for more than 6 days can be offered upon request. Discounted family ski passes are available on site (ID required). The Tignes-Val d'Isère ski pass also offer 1 free entry each day to the "Lagon" swimming pool in Tignes Le Lac. Ski passes valid for 6 days or more also offer the visitor discounts when using the fitness and "wellness facilities" (further information available on site). To book your skipass, just send us an e-mail to info@alpenchalets.com and note your Alpenchalets Reservation-No. for the booked accommodation.